*I partnered with Live Well Omaha Kids for this post and giveaway. Any opinions are 100% my own. Growing up, my mom always made dinner, set the table, and gathered us all around to talk about the day. I have tried to continue that tradition with my own family, but admit that some days we get to busy for a sit down meal. 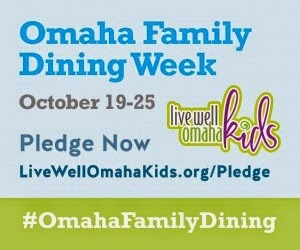 I want and need to change that so I recently took the Live Well Omaha Kids Family Dining Pledge and I encourage you to do the same! Omaha Mayor Jean Stothert as proclaimed October 19th – October 25th as Omaha Family Dining Week. Take the pledge and a step in the direction of keeping your family healthy by pledging to cook and eat at home together more nights each week. 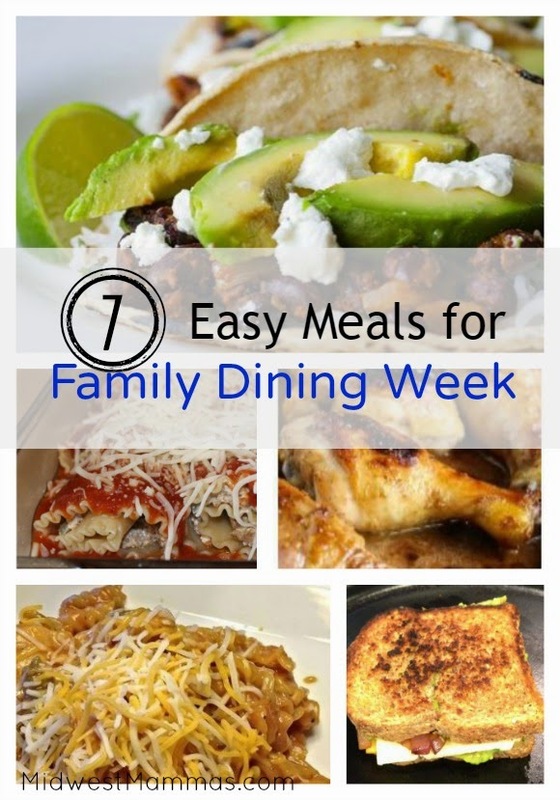 To help you fill those plates with delicious eats for Omaha Family Dining Week, I have gathered 7 Easy Meals from some awesome Omaha Bloggers! Why is Family Dining So Important? Studies show that kids who eat at home with their families are more likely to try new foods and eat more nutritious foods, such as whole grains, low-fat dairy, vegetables, fruit and lean meat. Family dining also benefits family communication, and supports healthy teen development. We eat together at least 3 nights a week. We try to eat dinner as a family every night but my husband is usually working so it's just me and the kids. We eat dinner at home seven nights a week.